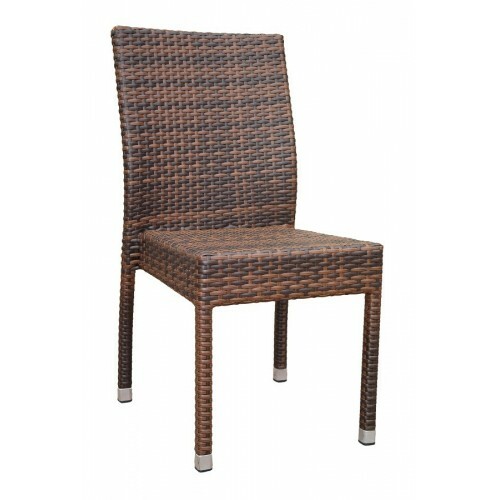 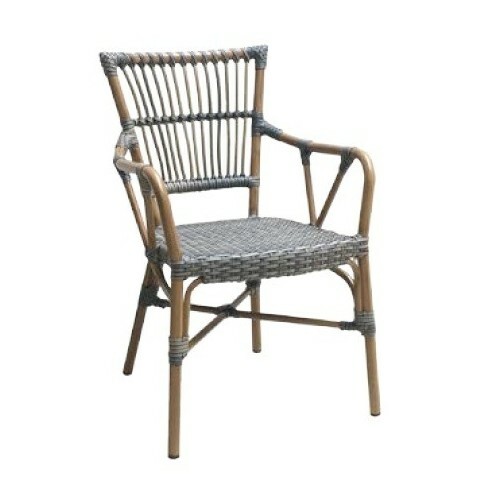 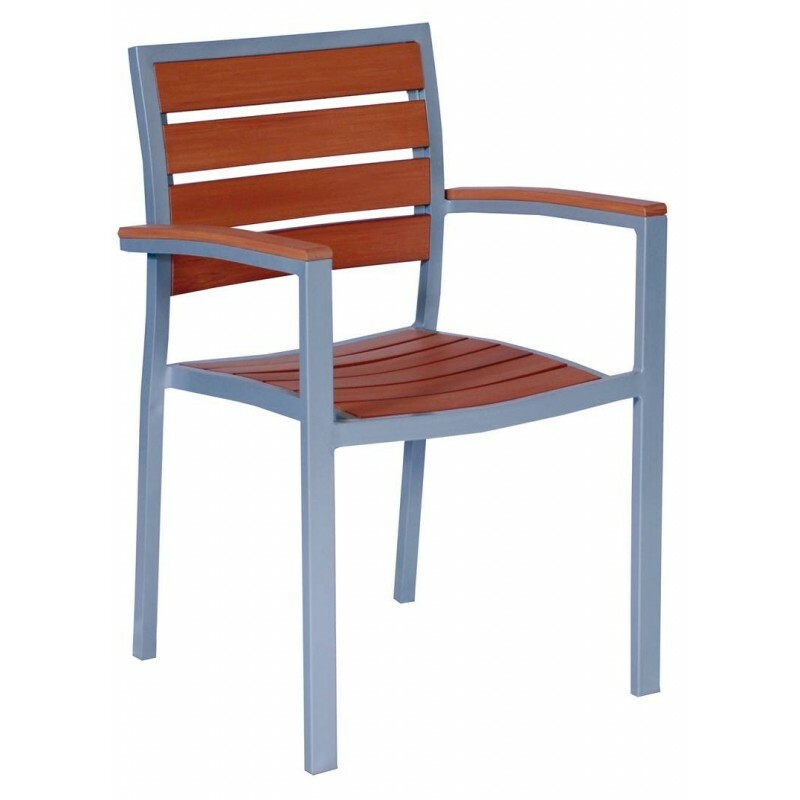 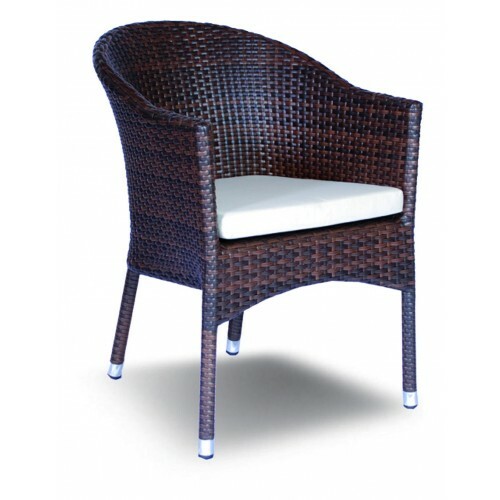 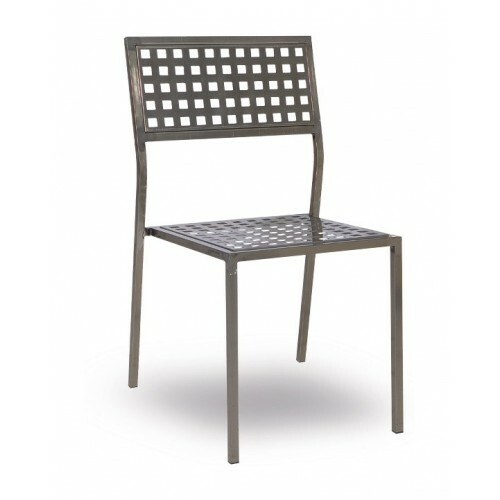 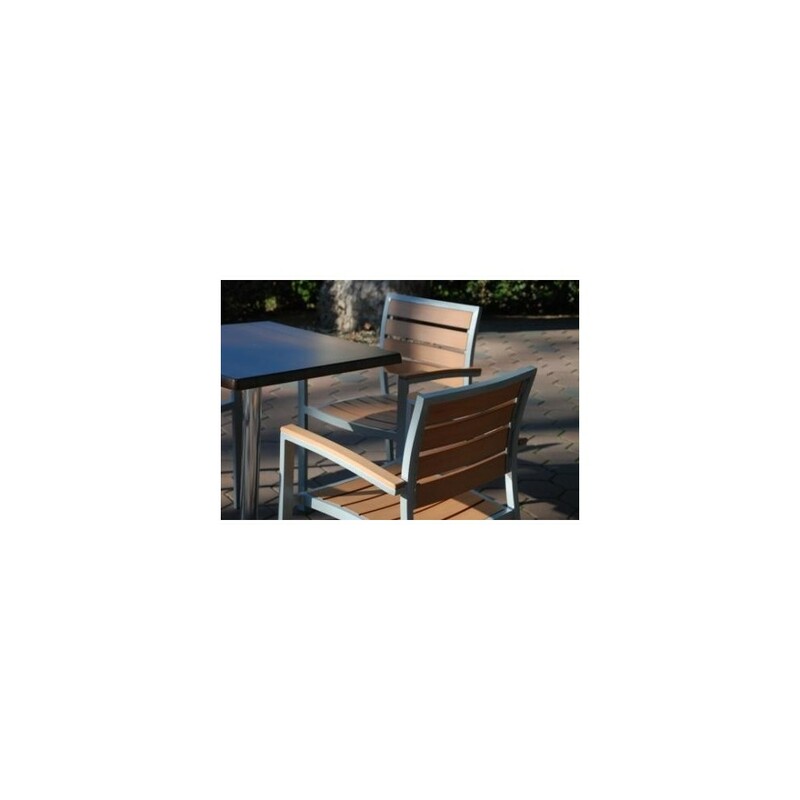 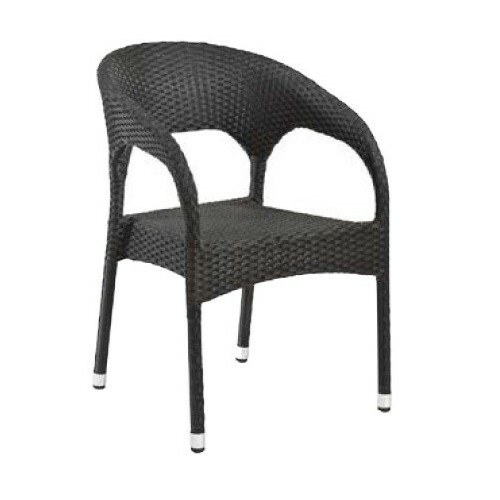 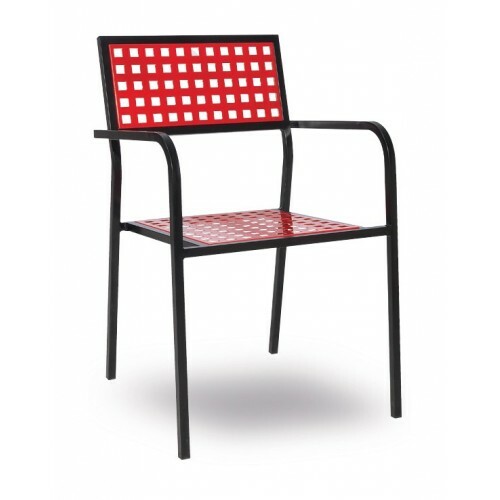 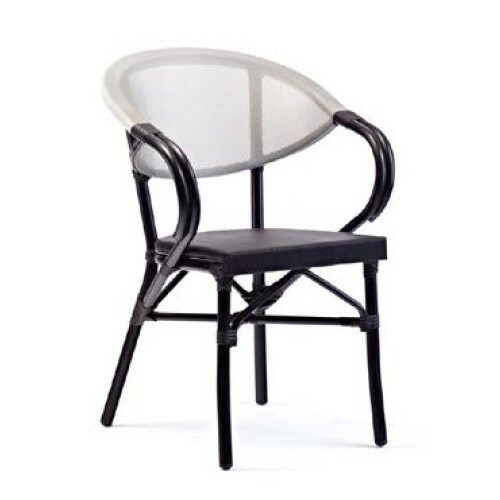 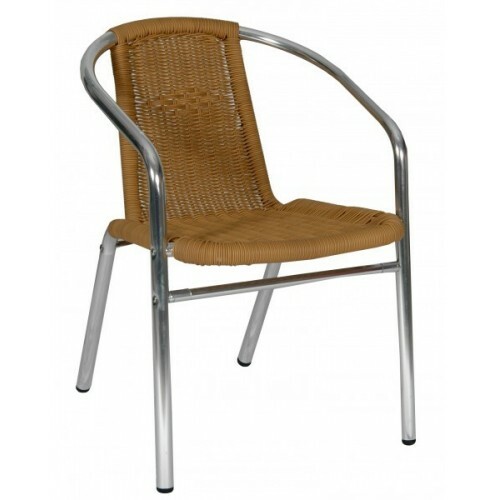 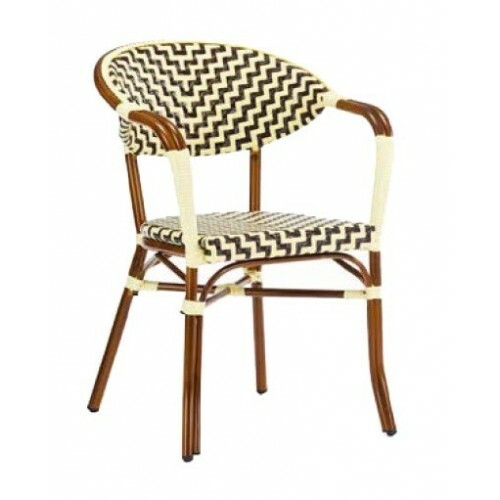 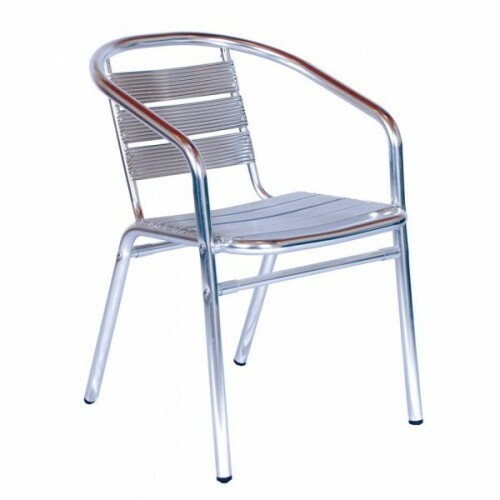 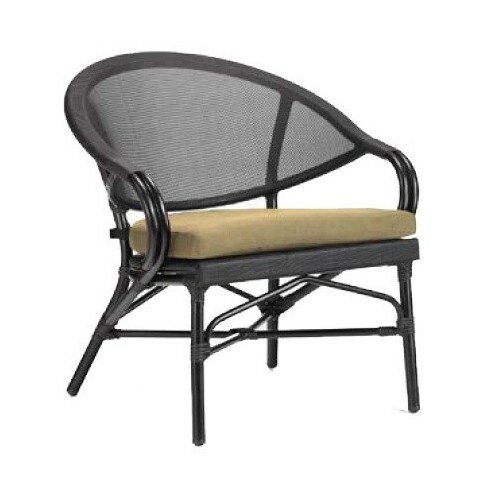 Aluminum chair suitable for cafes with plastic backrest and seat - imitation teak wood. 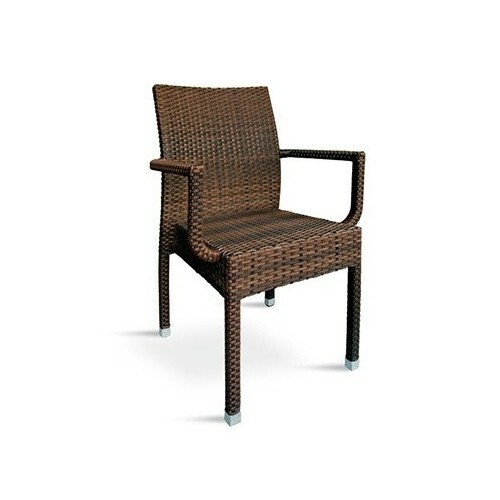 Suitable for exteriors. 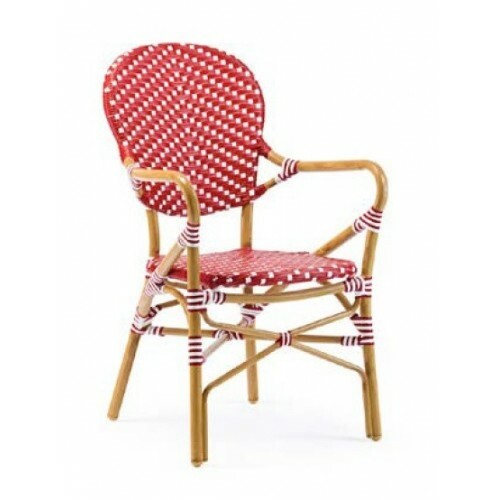 Chair is stackable.